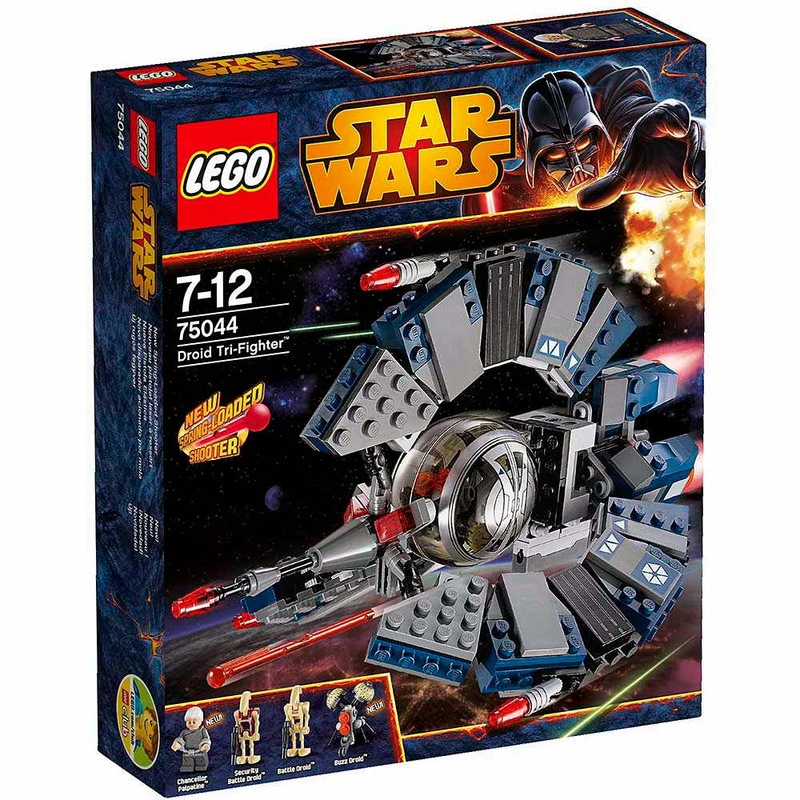 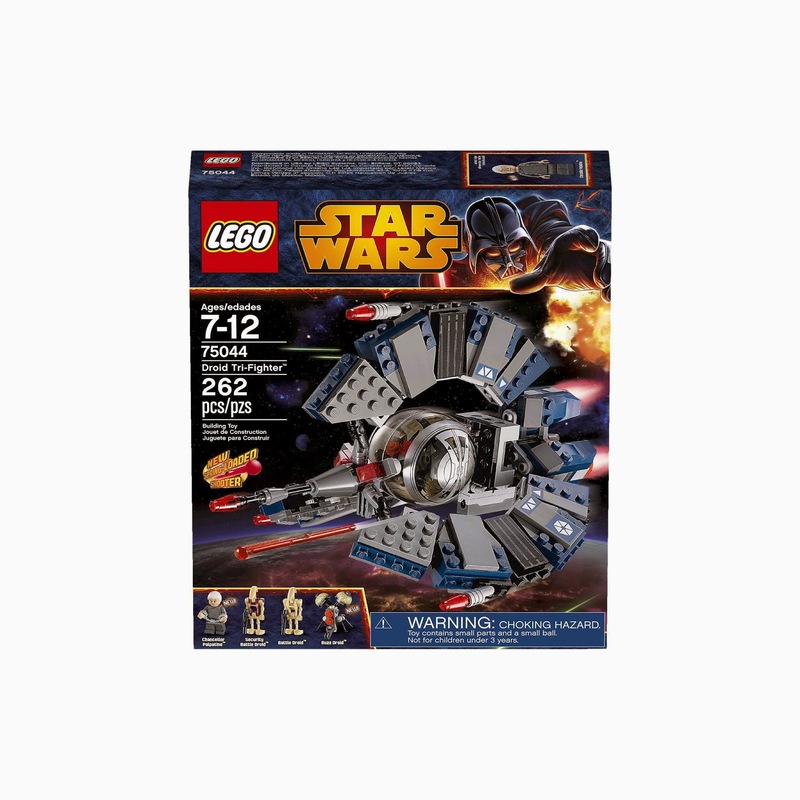 come with a droid tri fighter. 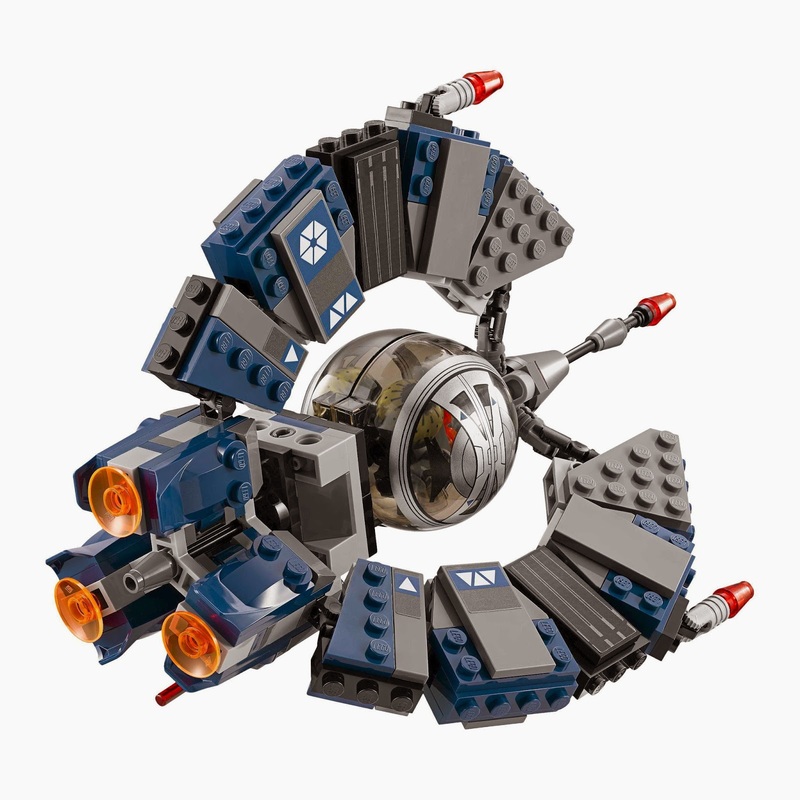 the fighter has tri wing design, a bottom spring loaded shooter and an openable center sphere. 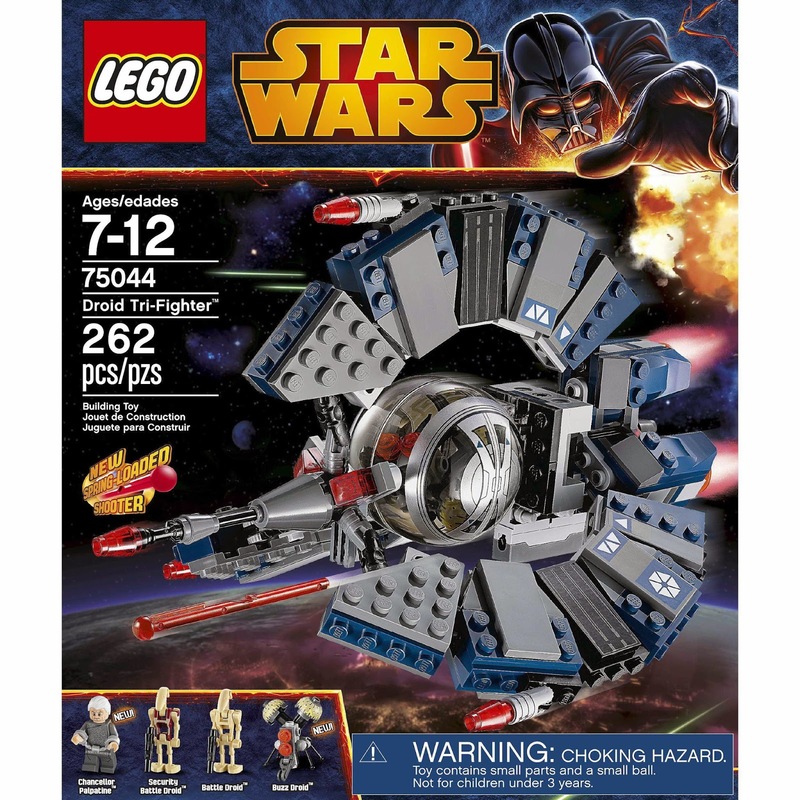 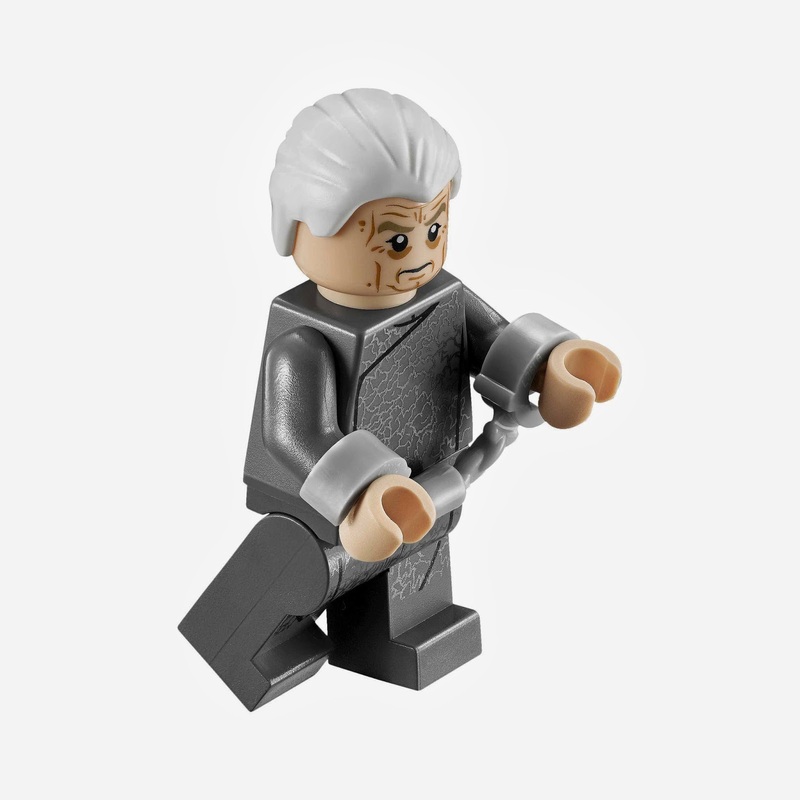 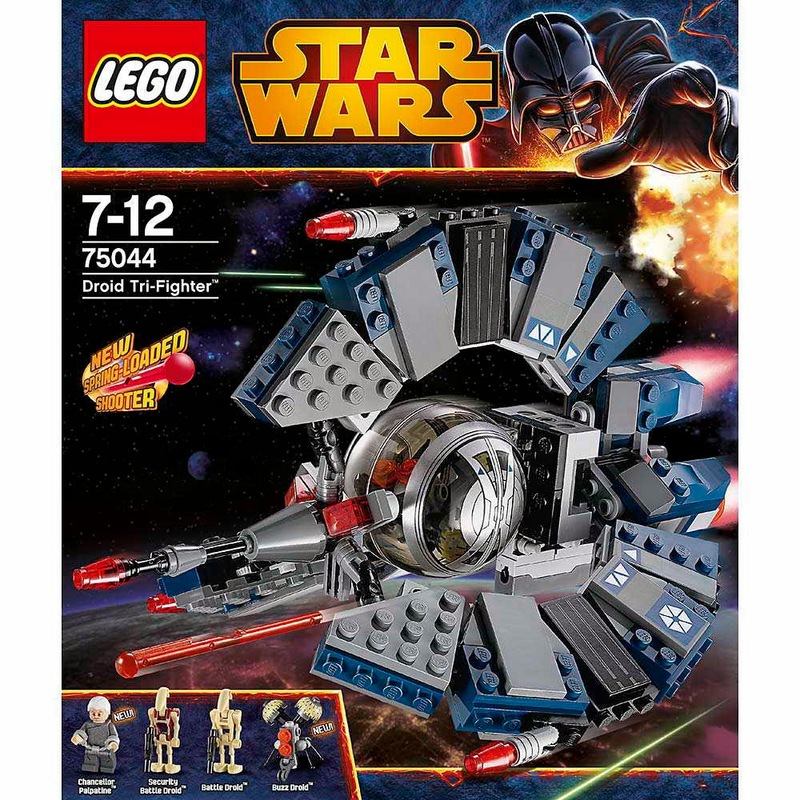 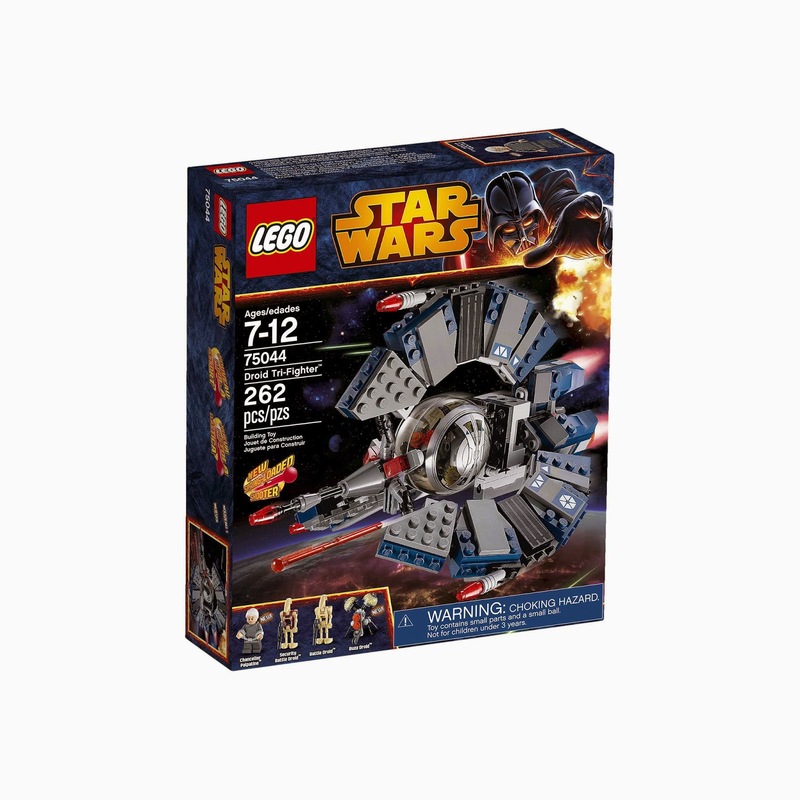 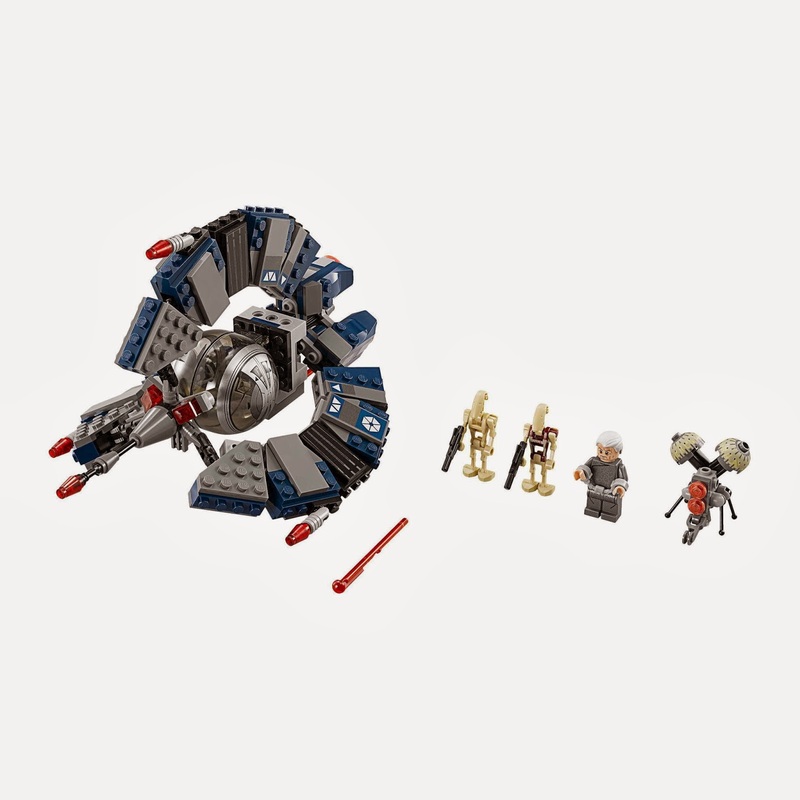 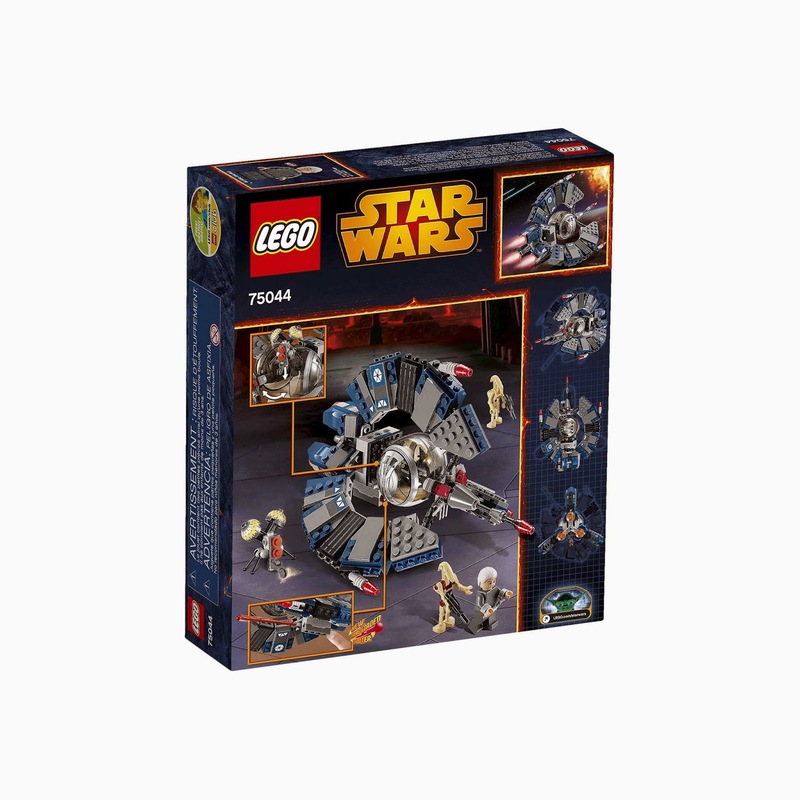 minifigs included a chancellor palpatine minifig, a buzz droid minifig, a security battle droid minifig and a battle droid minifig.